DeNami Product Spotlight: Cornucopia | Work in Progress. We have the always festive lovely Cornucopia in the spotlight this time around. Normally, I would whip out the Copics to color this delightful image, but I decided to go with a more neutral palette. Not really holiday colors but I really liked that plaid paper and decided to run with it. I had a hankering for a negative die cut (gosh, how I love a good negative die cut ;)) so I thought I'd turn it into a framed image. I also sponged around the image with distress ink. 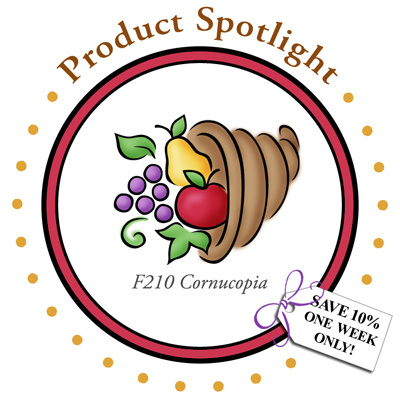 Posted in Cornucopia, DeNami DT, Product Spotlight . Bookmark the permalink. RSS feed for this post.